The 1940s continue to be a fascinating decade, as the the world was at war and the effects of the depression still lingering around the world, as it was in America. That caused women to look at life from that perspective, and consequently their makeup look expressed the time period and the effects of the war and economic depression on people. Since many people look back at that period of time as being classically beautiful in regard to women, it's interesting to see how the focus on simplicity and natural beauty created such a compelling look for the women of that part of history. Sometimes we may say that less is more, and that makeup style surely represented how women looked in the 1940s. And to this day it continues to be one of the more appreciative times concerning the way women looked and made themselves up. Sporting a 1940s look can be used for going out in certain social settings, and for looking glamorous like the actresses and women of that day did when dolling themselves up, providing a wonderful costume option for Halloween and other costume events. It was already mentioned how the times dictated a simplicity in looks for women of the 1940s, but that doesn't mean the results weren't extraordinary, because they were. 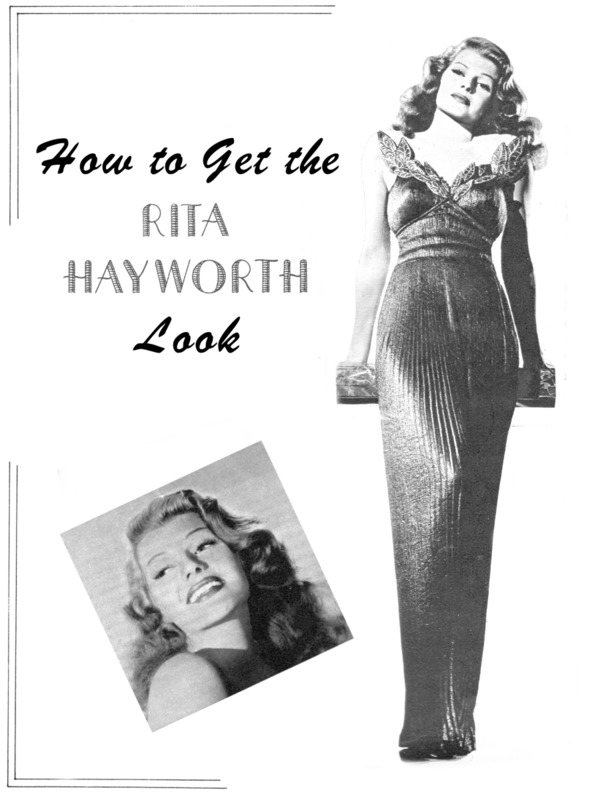 Because many of the more well known Hollywood starlets of the 1940s had a tremendous impact on the look of women of that period, it's worthwhile looking at exactly how they looked to get an overview of the times. If there is one word that described the facial makeup of the 1940s, it would be natural, as everything was worked out from there. The primary focus of the starlets was on the lush, red lips and gorgeous eyelashes. That stood out all the more because of the understating of the skin tone, which was usually a shade darker than their normal skin tone. 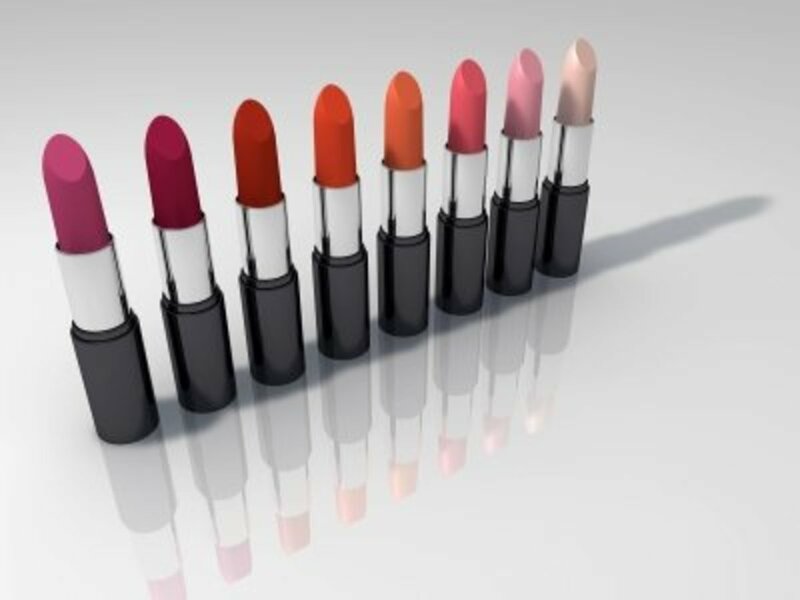 This allowed the red lips to stick out in a way that wasn't too obvious, which a lighter skin tone would have produced. Once the darker shade was applied, powder was applied to the face to give a sense of a natural glow to it. Flawless skin was one of the goals of the makeup of that era. Another part of the natural look of the times was the brows, which while looking natural, included an arch to them, which were much fuller than the pencil-thin brows we see today. As for the eyes, the overall look was dependent on whether it was for day or night. Most of the glamorous starlets of the period are seen with those gorgeous doe eyes, which were the look used by women for the evening hours. For the day hours, natural and minimalist was the way most regular women wore their eyes. Brown or grey were the primary colors used for eye shadow then. Lips were covered in shades of red, with a full look the most desired of all. Most of what we think of for lipstick of the 1940s was in regard to the actresses usually seen in the evening hours, which was predominated by darker and glamorous red hues; creating the soft, full look we're so familiar with. The upper lip was usually filled out more to create the look of those times. 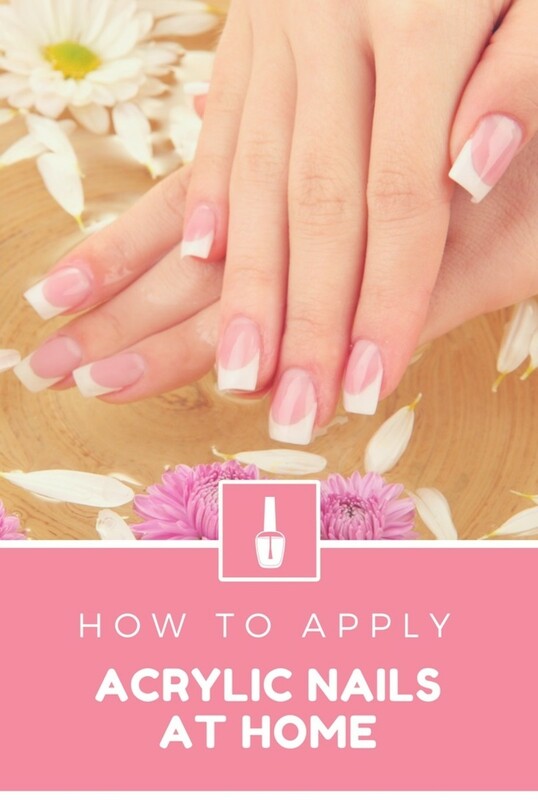 Interestingly, nails of the 1940s were done differently than most are done today, with the body of the nail filled in, but the base and tip of the nail being left natural. Possibly the most viewed makeup look of the 1940s is of this photo of the beautiful actress Gloria DeHaven. It's definitely worth showing again, as it displays the look of the 1940s in a very accurate and accomplished manner. It has everything the 1940s makeup look should have, including the arched brows, doe eyes, perfect complexion, slightly rosy cheeks, and the full, red lipstick. It doesn't get much better than that, although it's unfair to women to try to emulate this beauty. But for the 1940s style, it's everything that represented the era. You can see why it was so popular. After seeing Gloria's look here, everything else is going to be more or less a repeat of the features included in her 1940s makeup, but because of different bone structure, hair, and styles, it's worthwhile taking a look at how other women applied makeup consistent with that era. The majority of photos from the 1940s were in fact black and white, so it's hard at times to imagine what the women really looked like when having black and white photos taken of them. But whether black and white or in color, beauty is beauty, and you can tell the woman below has all of that going for her. She has the typical brows and eyes of the time, along with a little bit different of a look on her lips; one of the way women could differentiate or accent a certain complementary facial feature. In this photo it shows me what the average woman of the 1940s would look like in general as to makeup style. The major difference would be the application of a little more red on the cheeks than most women would have. Cheeks of most women were indeed rosy, but they were usually a little more subtle than shown here. But the eyebrows and eyes are perfect for the period. For those of you who learn better visually, here are a couple of video tutorials showing how to create 1940s makeup and hair to generate the complete look. All you have to do is add some period clothes and you're ready to go. The first video tutorial deals with facial makeup, and the second with the hair. The next three video tutorials will focus on creating hairstyles of the 1940s, something this is a wonderful addition to the makeup look being created. Put all of this together and you have a terrific look to go out or go to a party with. Not too many of the ladies will be going 1940s, so go knock 'em dead. This modern interpretation of the 1940s woman is included just for that reason: to show how women of today are exploring and interpreting the look of the 1940s. I think this woman really got it right, and those rolls in the hair top off the magnificent look of that day. Sometimes I wonder why the ladies don't participate in simpler looks like this; as they're stunning, gorgeous, easy and quick to do, and are very compelling to look at. What more could a girl ask for? But if you're too shy about those days, go all the way into it for Halloween parties, cosplay, or other types of costumed parties that give you the opportunity to go out as a woman of the 1940s. I think most of us get it after looking at the variety of examples of facial makeup and hairstyles associated with the 1940s. While there are a number of hairstyles from the era, the facial makeup was almost always the same no matter who wore it. So there had to be the thicker, raised eyebrows, the slightly red cheeks, doe eyes and rich, full lips covered in a red, or in some cases, orange hue. All of that combined to create the look of the 1940s, one that continues to be one of the more glamorous of all time. The way it all started was to create a flawless base to start the overall look with. That was done by the slight darkening of the natural skin tone and adding the rose or pink powder to the cheeks. In most cases today, that can be replicated with the use of a normal foundation to get the 1940s look going. All that needs to be done there is to apply it to the top part of the cheekbone and brush up towards the temples. If you want to bypass the foundation, you could simply apply a translucent powder with that pink or rose hue to it. That will help create the natural complexion sought after if you're skin looks good as it is. The eyes of the 1940s focused primarily on the brows and lashes, with subtle touches of brown or grey underneath the eyebrows or on the lids. For the eyebrows, you should have the full look, although you can pluck them for the correct, arched shape. It's that arched shape that is so reminiscent of the 1940s, and is a must for those wanting an authentic look from those times. You can use a pencil on the eyebrow arch to finish it off with a sharp point. 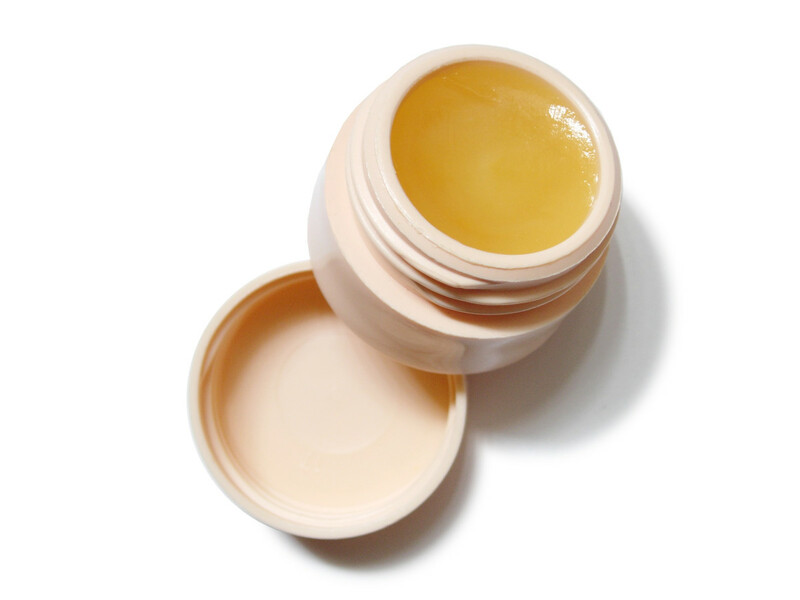 To generate the desired sheen, petroleum jelly or vaseline could be applied afterwards. I didn't mention it earlier, but as you'll notice in the photos, women of that day didn't have any of their brow bone shadowed. Keep it clear for that wider look. Just like the complexion of the 1940s, brows were expected to be arched perfectly, and nothing less was accepted by women. So that means they must include a very groomed shape and look. Brows should be the same color as your hair color if your hair color is darker. If it's lighter, then slightly darken it in relationship to the hair color you're wearing. While the eyelashes can and should be long, dark and beautiful, the eyelids and liner should be softer, again, preferably using browns or greys. A soft cream base provides a very good recreation of the 1940s eye look. The point if for the lashes to shine and the eye shadow and liner to be subtly in the background. 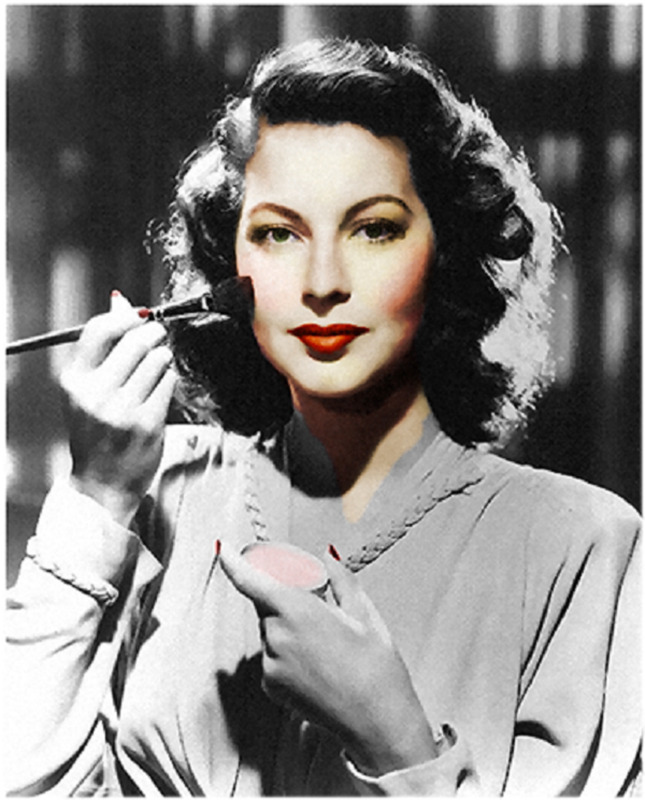 Lips were the other major facial area of importance in the 1940s, and they were exclusively enhanced by red colors. Even when using orange it would include a red hue to it. There are lighter reds which appear to have a tinge of pink it it, or reds with a hint of cherry, brown or a touch of crimson. The point is it must be contrasted with the skin tone very loudly and fully. Women of the 1940s didn't mind the rich, red, full lips we think of when contemplating the beauty of that time. As mentioned earlier, many women would exaggerate their upper lips to create the fuller and desired lips desired. Nails of the 1940s were very colorful, and there were few limitations as to what colors worked. The deciding factor alone during those years was that everything goes with the nail colors as long as they didn't clash with the clothing. What was part of the nail art of the 1940s was keeping the tips of the nails and the base of the nails free of polish. If you want to use a 1940s theme for a Halloween costume, cosplay, or other costume event, it's a terrific choice that will works extremely well. One thing to consider there, if you want to be a little bolder, is take some of the elements of the 1940s makeup look already discussed and accentuate it in different ways to heighten the effect. But even if you choose to go as a woman of the 1940s would look, you'll look outstanding. Just be sure to include a hairstyle and clothing of the period to complete this extraordinary look. The pictures speak a thousand words in regard to the amazing makeup look of women from the 1940s. It was simple, elegant, classic and absolutely beautiful. It doesn't get much better than that. And it makes me wonder why there aren't a lot more women of our day emulating this extraordinary look women from difficult times managed to enhance their beauty with. Hopefully those reading and viewing this will get some inspiration to attempt your own look from the 1940s. 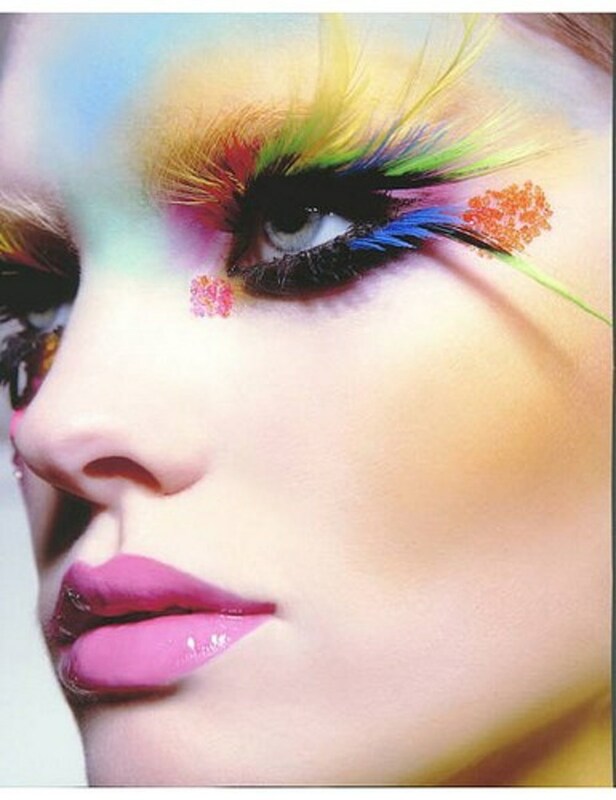 When done right, it's among the most beautiful facial makeup looks of the modern era. I love old styles, too. It seems like the eyes and lips are major factors in the 1940s make up. I have pale skin, I just can't the eyes right, but I will keep trying! Great hub. I love old styles. B&W movies are my favorites. Loved the video with the red head. Thanks for sharing all the great info.